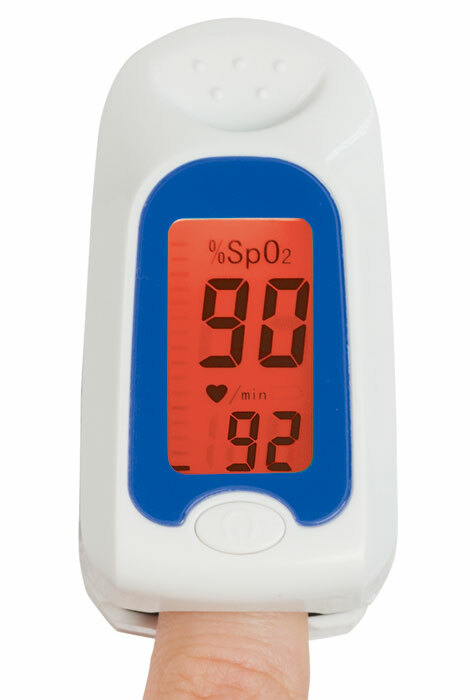 Spot check blood oxygen saturation (SpO2) and pulse rate with this convenient color changing pulse oximeter meter. 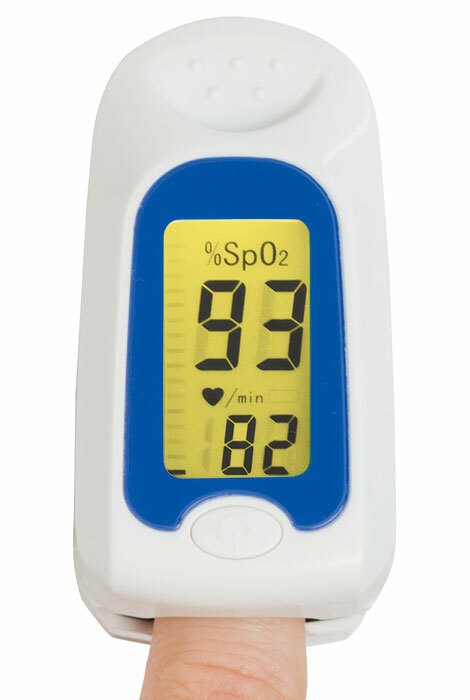 Small, lightweight and easy to carry, it’s perfect for periodic checks of heart rate and blood oxygen levels. Simply insert your finger and get a reading on the large, easy-to-read LCD display. The backlit indicator shows green for normal, yellow for caution and red for alert. 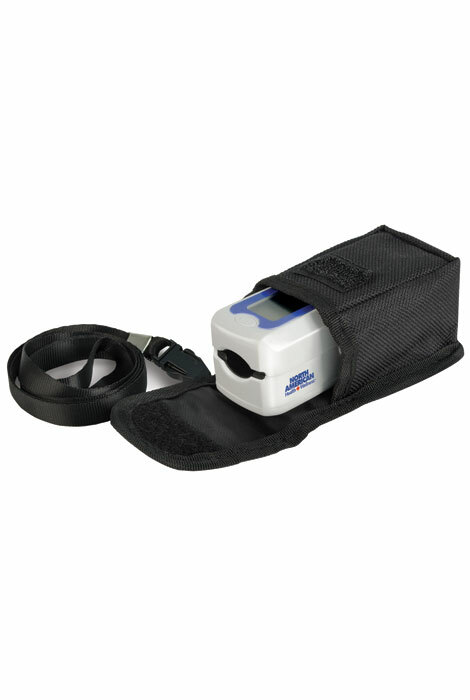 Useful for non-medical checks at home, or for sport and recreational uses such as mountain climbing, high altitude activities and running. 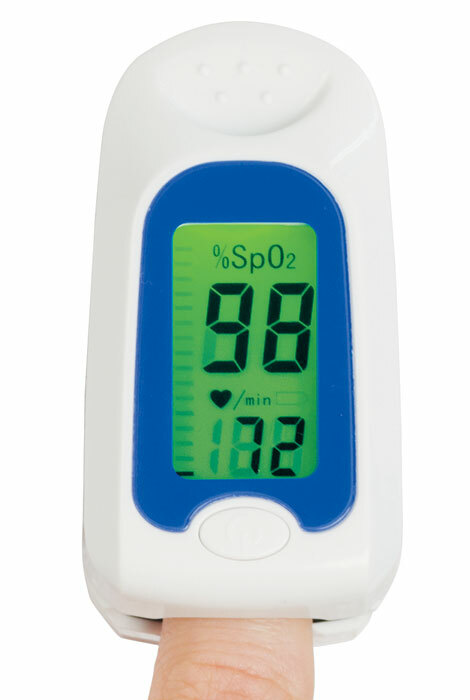 Fingertip pulse oximeter comes in a convenient carrying case with a 16” lanyard. Runs on two AAA batteries (not included), with automatic power-off to maximize battery life. This meter is not intended to replace a doctor’s visit, and should not be used for medical diagnosis or treatment without a doctor’s guidance. 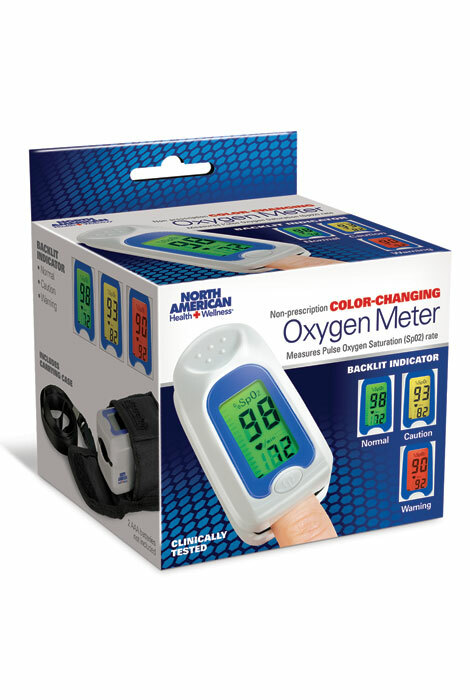 Finger oximeter measures 1 1/2" wide x 2 1/2" long x 1 1/4" high.